Rome. The Tiber River and Saint Peter`s Cathedral. 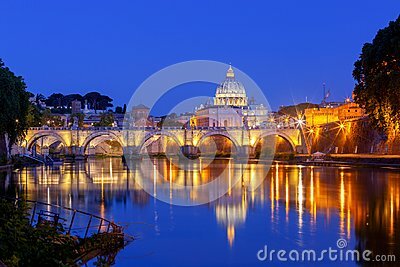 Night view of the Tiber River and St. Peter`s Cathedral in the Vatican. Italy.